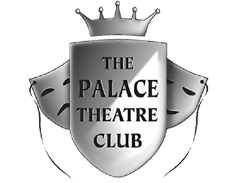 The Palace Theatre Club, founded in 1957, aims to “encourage interest in all aspects of living theatre and, in particular, the Palace Theatre”. It is run by a voluntary committee elected annually. Six newsletters each year keep members up to date with all the Club, and theatre, news and activities. A monthly get-together, on the first Saturday of each month, from 10am to noon, in the Palace Theatre foyer/bar, where members can socialise over a cup of coffee, book for Club events and catch up on the latest news. Artistes from upcoming shows often provide a preview of their shows. You can view a photo gallery of many of these show previews. The Club also sponsors occasional events and productions. These take place at the Palace and usually involve a Community aspect. Please contact secretary@palacetheatreclub.org.uk for further details. We hope you will join us. Details of how to join are on our get involved page.